This creation by Dr. Joe Ventura is an anatomically perfect atlas vertebra, to be used as a pendant or key-ring fob. The detail in such a small piece is truly astonishing. Both sides of the atlas are represented and it appears as if the vertebra was placed in the molten metal and is frozen there. Watch the video simulation to see the detail in 360 degrees. NOTE: The actual product will be super smooth and polished in most of the metals. The standard material is Polished gold stainless steel at $49.95. 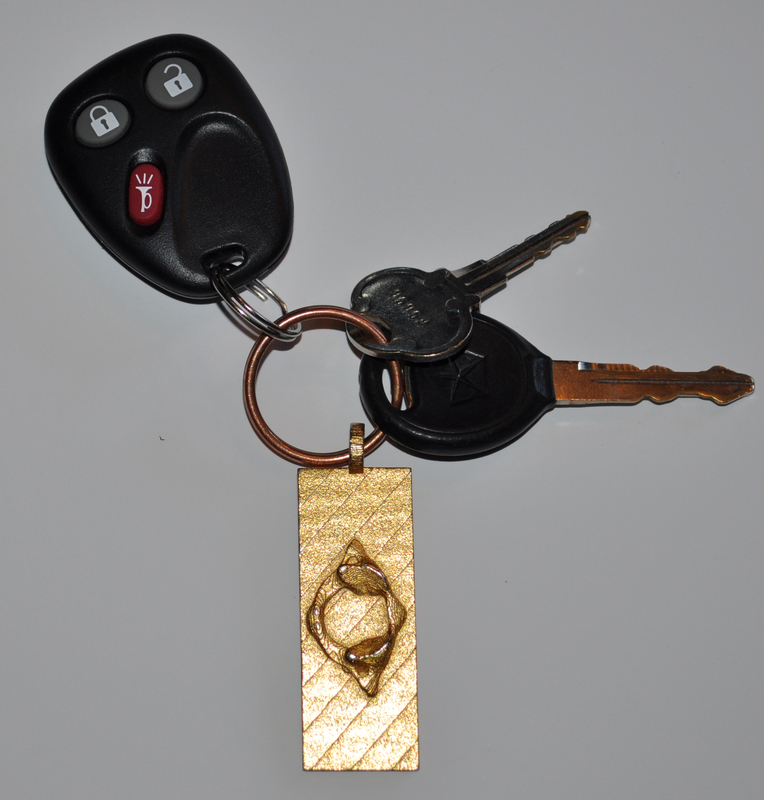 NOTE: Pendant/Key-ring fob does not include a chain or keyring. Dimensions are 1" w x 2.4"t x .1" d.
Due to the wax cast method of production, each piece will be unique and slightly different. Due to the intricate design process, please allow 4 weeks for delivery. Other metals are available, including 18kt solid gold. Ask for special metal pricing. Click the button below to add the Atlas Pendant/KeyFob to your wish list.